Jurjen Koksma's parents were Franke Koksma and Hommina van Ek. Koksma studied mathematics at Groningen University, then taught mathematics in Kampen and Zwolle while completing the research for his doctorate. His thesis supervisor at Groningen was Johannes van der Corput who was an expert on algebraic number theory. 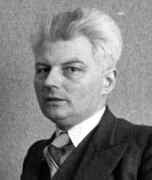 He had been appointed professor of mathematics at Groningen University in 1923. In 1930, after submitting his dissertation Over stelsels Diophantische ongelijkheden Ⓣ, Koksma was awarded his doctorate with distinction on 4 June. He published a joint paper with his supervisor J G van der Corput in 1930, namely Sur l'ordre de grandeur de la fonction ζ(s) de Riemann dans la bande critique Ⓣ, which appeared in the Annales de la Faculté des Sciences de Toulouse pour les Sciences Mathématiques et les Sciences Physiques. The Free University of Amsterdam was looking to establish a Faculty of Sciences and they made appointments to chairs in physics, chemistry and mathematics. Johannes Gerardus Sizoo was appointed as the first professor of physics and Koksma offered the first professorship of mathematics at the Free University. It was explained to him that he and his colleagues would have to build the new Faculty of Mathematics and Physics from scratch and at first he was rather reluctant to accept this demanding task. However, he did accept the professorship and took up his appointment on 10 October 1930. Koksma married Gretchen van der Stouwe on 12 April 1933; they had five sons and two daughters. It is remarkable material on diophantine approximations with which the author presents us in this volume. The bibliography, which seems to be unusually complete, contains about eight hundred separate titles. It is needless to emphasize the importance of such a survey for those working in this field. Let us only mention a few of the main theories considered by the author. The theory of diophantine approximations has been taken in its widest sense, so that one also obtains information about neighboring theorems and applications. The book begins with a short survey of the field to obtain a classification of the main problems. One then finds a discussion of Minkowski's analysis, his 'Geometry of Numbers' and applications to homogeneous and non-homogeneous linear forms. At this point one should also mention the account of Blichfeldt's methods. The properties of continued fractions are then discussed together with the neighboring theories, namely, of irrationality and transcendency and their measures. The approximation theorem of Kronecker is discussed at length. The distribution of real numbers (mod 1) covers two chapters and one finds accounts of the investigations of Weyl, Vinogradov, van der Corput, and others. The final chapter is devoted to the theory of diophantine inequalities. Koksma was rector of the Free University in 1938 but, because of World War II, the next few years were difficult ones. He continued to run the mathematics department at the Free University despite the difficult conditions in the Netherlands which existed from 1940 when the German army overran the country and it was run by the German Occupying forces. Although the university remained open and lectures went ahead as usual, the students were required to sign a declaration that they would not sabotage the system. Most refused and, although they continued to study in their homes, they could not attend lectures. However there were also good times; during the years 1941-43 Koksma was thesis advisor to Nicolaas de Bruijn who wrote an outstanding dissertation Over modulaire vormen van meer veranderlijken Ⓣ. On 19 September 1945 Koksma spoke at length in his opening address for the session about the war and what had happened during the war years to the people and the buildings of the Free University. He talked proudly of the achievements of the University during this difficult period, and explained that the number of benefactors had increased. He argued that these positive signs must be seen as an indication that the University should now expand. This is precisely what happened for over the next few years, during which there was a huge growth in the number of students. In addition, the four existing faculties of the Free University significantly expanded to include teachers and new courses. Johannes van der Corput, who had supervised Koksma's doctoral studies at Groningen, was appointed as a professor at the University of Amsterdam in 1946. Also appointed in the same year was David van Dantzig who, being Jewish, had been dismissed from his chair at Delft in 1940 when the Germans occupied Holland. He had been forced to move with his family from the Hague to Amsterdam and in 1946 was appointed to the University of Amsterdam. Koksma, van Dantzig and van der Corput, together with H A Kramers, M G J Minnaert and J A Schouten, founded the Mathematisch Centrum (Mathematical Centre) in Amsterdam on 11 February 1946. Koksma, van Dantzig and van der Corput had planned for such a Centre during the war years and they wanted it to be a non-profit making organisation, subsidised by the government and by industry, and independent of the universities. They also wanted all areas of mathematics, both pure and applied, to come together in the Centre which was set up with four departments Pure Mathematics, Computational Mathematics, Statistics, and Applied Mathematics. The Centre has continued to play a major role in mathematics, but it has changed its name in 1983 becoming the National Research Institute for Mathematics and Computer Science in order to reflect the strong Computer Science component in its research. We should also note that Koksma, in addition to his work at the Free University and at the Mathematical Centre, also played a major role in the Royal Academy of Sciences of the Netherlands, being secretary of the Academy from 1954 to 1961. He was president of the Dutch Mathematical Society, the Wiskundig Genootschap, in 1953. He played a major part in the organising of the International Congress of Mathematicians was held in Amsterdam from 2 September to 9 September 1954. In 1960 Koksma suffered a serious illness and had to cut back on most of his activities due to disability. He continued to attend colloquia in the Mathematical Centre, however, and remained an important figure in its organisation up to his death.